Can't Play DVD in Windows Media Center? All Solved! Microsoft Corporation has taken viewing and listening of data to another level with the development of Windows Media Center. Now, it is possible to Play DVD in Windows Media Center directly because it supports a variety of file formats. Many people employ it as their software of choice in viewing and recording live television programs by means of Windows Player DVD decoder and infomercials and also organizing as well as playing videos and music files. It is an added feature in various Microsoft Windows Operating Systems for example Windows Vista Ultimate and Home Premium, Windows XP Media Center Edition versions, Windows 7 excluding Home Basic and Starter and in Windows 8 Pro in the form of an add on. Using the Windows Media Center to play DVD is quite easy and enjoyable. It would feel like you are playing from a home theater interface because of its sleek, blue design. In order to watch your favorite movie on DVD, you must follow these steps. 1. Insert a DVD disc and choose START/ALL PROGRAMS/ WINDOWS MEDIA CENTER. The Media Center will open up in the main menu. 2. Scroll vertically through the items in order to locate the movie that you want to play. 3. Double Click the PLAY DVD option. 4. At the DVDs main menu, you can select any option that you want such as the Language, Chapter List, bonus materials, and other options. If you are using a remote control, you can press the DVD menu button to open up the main menu. 5. 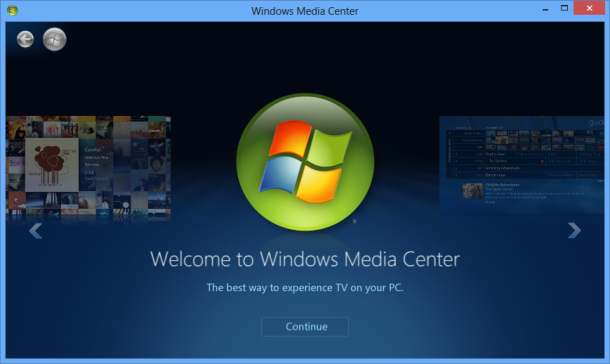 The DVD player of the Windows Media Center can be controlled using the same set commands that you use for standalone DVD players. Once you click the STOP button, the Media Center will display screen options, whether you want to RESTART, RESUME, or EJECT the DVD media. There may be cases that you can't play DVD in Windows Media Center. The main reason of this problem is due to the DVD is protected or destroyed. If the DVD disc is sure to be OK. Then the reason for DVD playing error may comes to the format compatibility issue. In this case, converting DVD to Windows Media Center acceptable format is needed. And this is possible by the use of a Windows Media Center DVD ripper - Aimersoft DVD Ripper. It employs the NVIDIA technology where the processing is done on the NVIDIA GPU instead of the computer CPU enabling the Central Processing Unit to run other applications. Its rate of converting videos is six times faster than other DVD rippers with a high definition and smooth playback while it is still maintains higher quality. Insert the DVD into the DVD-ROM of the computer. 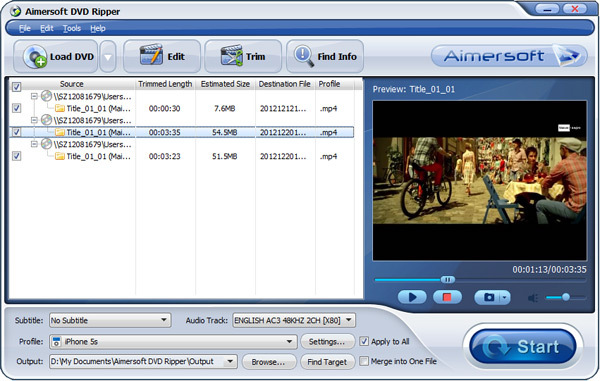 Start up the Aimersoft DVD ripper and click the load DVD button to commence upload process of the files. DVD folders, ISO files or IFO files can also be imported. Ticking "merge into one file" combined all the files added; it is employed when a person is interested in converting all the uploaded files into one large folder. Click "Profile" to select the desired export format from the drop down list. And choose a better destination folder to allocate the ripped content. 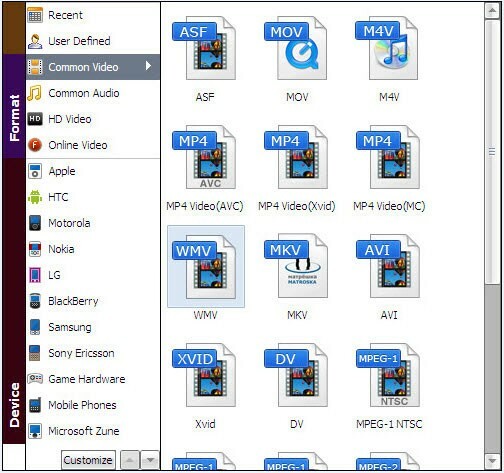 Converting the video content into a format supported by any portable device is accomplished by selecting your device’s icon as the output format. The settings button beside the profile button can be utilized to make adjustments to the bit rate, frame rate, output audio/ video resolution, etc. for customizing and obtaining best quality output. After selecting the output format, click the Start button for the software for DVD conversion. After the process is complete, click "ind target" to get the converted content. Tips: There will pop up a window that enables you to search the metadata when clicking the "Find info" button located on top of the main window. You can enter the name of the movie and click the search button to begin the search for metadata. Close the Windows Media Center if it is already running. Paste or type the word "regedit" in the "start search box". Click on "regedit" on the programs listed. Click "continue" or enter your administrator password if it is inquired. Search and click the following sub-key: HKEY_CURRENT_USER\Software\Microsoft\Windows\Currentversion\mediacenter\settings\Dvdsettings. A details pane will show and the user clicks "show gallery" and then click modify. The contents that appear in the "value data box" are then deleted by the operator. Type "gallery" in the "value data box" and then click "ok". After this, close the registry editor and the files the application will be ready to play the files. The user has to restart the computer to verify the problem is fixed. It is shown by the computer displaying "DVD library" instead of "play DVD". In case, you prefer to rip DVDs to Media Center in *.vob format, the DVD Library in Windows Media Center is not automatically enabled and you cannot see your DVD content. You need to edit the registry, and you'd better check "How to enable the DVD Library in Windows Media Center" (Microsoft) for the official resolution. Actually, there are many DVD player software you can use to play DVD in Windows smoothly, just in case you don't want to spent so much time on fixing the annoying DVD playing issues.